Primobolan (chemical name methenolone) is one of the most popular cutting steroids of all times. Mild side effects with moderate anabolic properties give primobolan good cutting properties and versatility. The fact that it was one of the few anabolic androgenic steroids (AAS) used by Arnold Schwarzenegger creates an unsurpassed reputation for this steroid. There are two versions of primobolan – Methenolone acetate (for oral use) and Methenolone enanthate (injectable). After being discovered in 1960, methenolone’s sales started in 1962. At first, it was produced and marketed by the pharmaceutical company Squibb under the brand name Nibal (Nibal Depot for the injectable version). However, a few years later the production rights were sold to Schering, a pharmaceutical company in Western Germany. 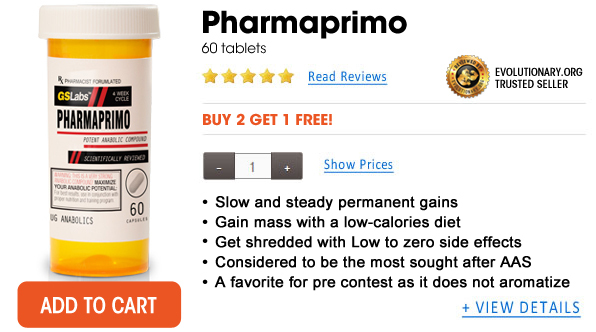 Schering renamed the steroid to the name everybody now knows – Primobolan. Since Schering did not make primobolan commercially available in the United States and nibal brand was not sold anymore, the American market lost pharmaceutical methenolone. Nonetheless, it was still available to be specially ordered from Europe. Perhaps, this is the main reason why primobolan is so often associated with European bodybuilders, Arnold Schwarzenegger among them. Although it was not sold in the United States, primobolan is one of the few steroids that are still approved by the FDA for medical use. In 70’s-80’s primobolan had an interesting application among bodybuilders, who used it to treat gynecomastia. This may seem strange, but some scientific studies have proven that methenolone is an effective treatment of breast tumors in postmenopausal women. Therefore, primobolan’s use to treat gynecomastia doesn’t seem to be science fiction. Both versions of primobolan (oral and injectable) are based on the same active substance – methenolone. 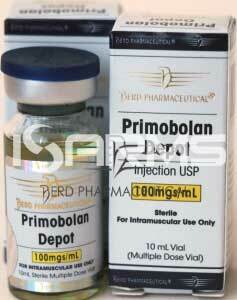 The only structural difference between primobolan and primobolan depot (injectable) are the esters attached to them. Consequently, they only differ in matters of bioavailability and administration. Methenolone is a dihydrotestosterone (DHT) derivative with a double-bond between carbon atoms 1 and 2. This increases the anabolic potential of the hormone by adding stability to the 3-keto group. Both versions of primobolan are partly protected against the first liver pass by the 1-methyl group that is added to the structure. Anabolic and androgenic effects of methenolone are mild. In this regard, many compare primobolan to Anavar and Masteron, and, on paper, it is supposed to be weaker than these two. However, primobolan is somewhat more anabolic than masteron, so it is mainly used for the same purpose – cutting. There is one property that makes primobolan such a good cutting steroid. Being a DHT derivative, it binds to androgen receptors (AR) with more strength than testosterone. This quality is a great help for fat loss because this interaction with AR aids lipolysis (breakdown of fats). Besides, like most DHT steroids, primobolan does not aromatize to estrogen. Consequently, no water is retained in the body, and the muscle gains are very clean and vascular. Moreover, if primo is taken alone, aromatase inhibitors (AI) or SERMs will not be necessary. Bodybuilders really like primobolan’s ability to preserve high levels of nitrogen. This property allows its user not only to keep the muscle mass during low-calorie diets, but even gain some additional mass. Nevertheless, primobolan’s use is not limited to just cutting. 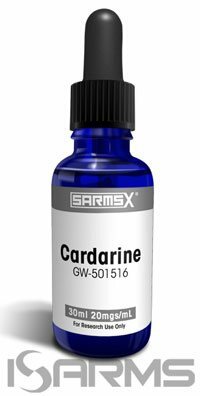 It is a good stacking agent for other steroids, and even in bulking cycles it can be very useful. Therefore, it is not toxic to the liver. However, the c17bh group does not have the same ability to protect the active substance against destruction by the first liver pass like the c17aa does. Consequently, only a fraction of the active substance makes it into the blood stream. This makes large doses of oral primobolan necessary in order to appreciate any noticeable results. Unfortunately, the massive hysteria around anabolic steroids of the late 1980’s and early 1990’s led Schering to stop the sales of primobolan in most countries. At the moment, primobolan’s production seems not to be lucrative enough, and it is thus sold exclusively in Japan and South Africa. Primobolan depot was initially produced in two variations – with the enanthate ester attached to it, and the acetate ester. Before being discontinued in 1993, the acetate version was the favorite among bodybuilders. Thanks to the shorter acting ester, it was the optimal cutting steroid for pre-contest cycles. 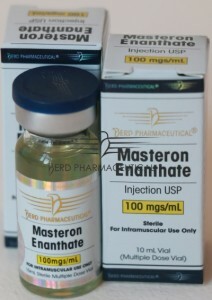 Therefore, since 1993 only the enanthate version is available for injections. The injectable primobolan shares the same properties with the oral version. Hence, it is a very good cutting steroid that can be used alone, or cycled with other AAS. However, there is one difference that makes primobolan depot the preferred form of methenolone in comparison with its oral brother. Due to the fact that primobolan depot completely avoids direct contact with the liver, it is not broken down by the first pass. This means that it is more efficient than the oral primobolan, making smaller doses sufficient for good results. It is a very important point, especially considering the high market price of primobolan. Milligram per milligram, one can get better results with primobolan depot, which saves money for the user. The mild nature of methenolone makes it one of the top choices among female athletes. Virilization effects are easily avoidable when moderate dosages are taken. However, muscle mass gains will not be very prominent with this steroid. Instead of rapid growth, there will be a slow and steady increase in lean mass. For women, it is recommended to use the oral version of primobolan. It has a shorter half life than the depot, therefore, in case virilization symptoms take place, it can be discontinued in a faster manner. There are women who search for a somewhat more pronounced muscle growth. They achieve it by stacking primobolan with such steroids as Anavar and/or Winstrol. Nevertheless, one should keep in mind that although all these are mild steroids, they still have their side effects and drawbacks. Thus, not only their anabolic effects sum up, but also their side effects. Hence, it is recommended to take lower dosages when several steroids are combined. This way, the risk of suffering virilization symptoms will be decreased. Primobolan is considered by many to be the safest steroid in the world in matters of side effects. 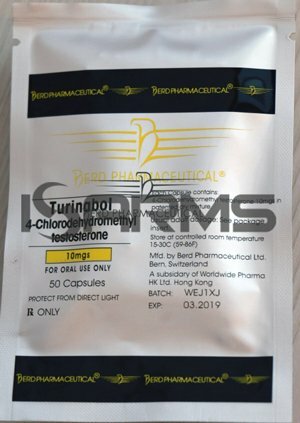 It is the number one choice for those highly sensitive to estrogen effects, older athletes, steroid novices and women. Despite of this, primobolan is still a steroid, and, as such, it does have certain undesired effects. Such androgenic effects as acne, oily skin, and facial/body hair growth may happen. Although androgenic side effects are not frequent and strong, individuals with a predisposition for baldness should be cautious. Anti-hair loss products like Finasteride can alleviate hair loss during primo use. to those used by an average bodybuilder; and even in such low doses there was a considerable decrease in glycoprotein hormone levels. Therefore, a post-cycle therapy (PCT) must be planned with such drugs as HCGenerate ES and Nolvadex. Although the oral primobolan does not have the c17aa group attached to it, liver function is still affected. To a certain point, the same holds true for the depot. Hence, during a primobolan cycle it is best to take such cycle support drugs as N2Guard and Cardarine. Since it is a dihydrotestosterone (DHT) derivative, methenolone does not convert to estrogen when interacting with the aromatase enzyme. This is good news because estrogenic side effects will not occur when using primobolan. Water retention, bloating, high blood pressure, fat accumulation and gynecomastia are not a threat. The normal dosage for the injectable primobolan is 600-800 mgs per week, being pointless anything below 200 mgs. Some experienced bodybuilders experiment with higher dosages, but in such case close attention must be paid to ancillary drugs and PCT. Stacked or taken alone, the most common use of primo is cutting. Non-aromatizing steroids like Halotestin and Trenbolone are the best stacking choice for primobolan in cutting phases. No water retention or fat accumulation will occur. The physique will be enhanced with extremely lean, hard and long lasting muscle gains. However, primobolan can also be used during bulking cycles in combination with such steroids as testosterone, Dianabol or Anadrol. 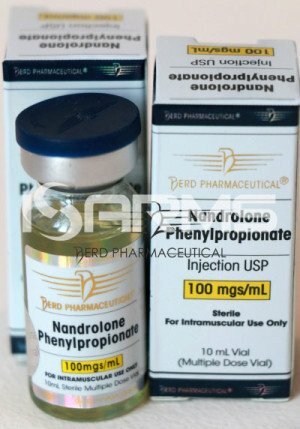 In such case, the massive gains of these steroids will have a more ripped look and primobolan will partly inhibit estrogen buildup. However, it can not be said that it is a steroid with no side effects at all. Yes, it is a safe steroid, but certain side effects may occur and precautions must be taken. The most common side effects are androgen related. Moreover, primobolan is suppressive. Therefore, apart from liver supporting drugs during the cycle, a good PCT is a must. Perhaps, the biggest drawback of primobolan is of financial nature. It is quite a pricey steroid, and relatively high dosages must be taken in order to achieve good results. This means that primobolan cycles are usually expensive.